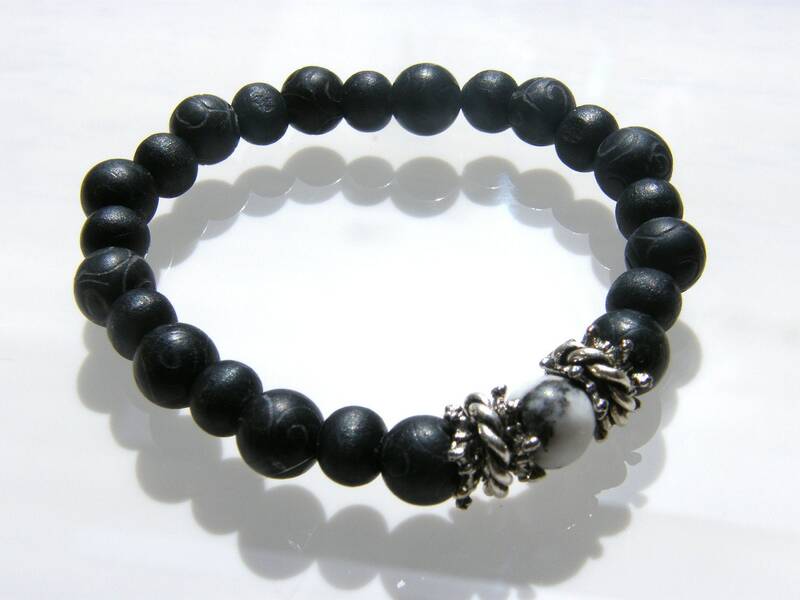 This meditation bracelet includes silver filled twisted beads,silver plated bead caps, black wooden, and carved black beads for a bohemian flare that looks great on either male or female. Size is for average female but simply convo for a larger male version... happy to make adjustments. Handsome alone or stacked with many bracelets. Stretch bracelet uses 1mm strong string.